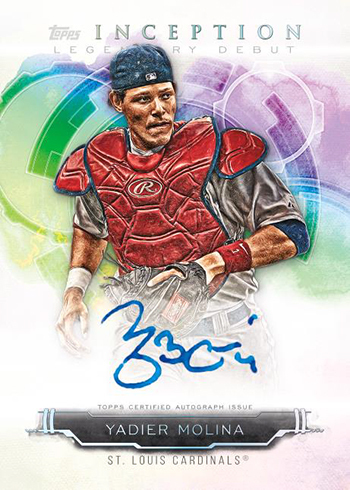 Topps Inception Baseball is back this Wednesday with the 2019 version promising modern designs, a central focus on young players and a good amount of signatures. Each single-pack box delivers seven cards with one being either an autograph or an autographed patch card. 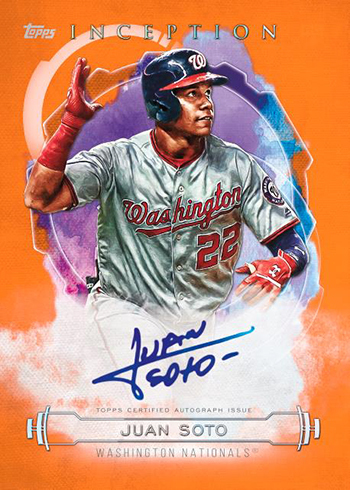 The 2019 Topps Inception Baseball base set has 100 regular cards with rookies and young veterans getting the spotlight. There are no retired stars in the base set. Each box delivers a total of two parallels per box with the Green Parallels being the only ones that don’t have a serial number. Others include Purple (/150), Magenta (/99), Red (/75), Orange (/50), Blue (/25), Printing Plates (1/1) and Inception (1/1). Rookie and Emerging Stars Autographs bookend the checklist. Like many of the cards in Topps Inception Baseball, signatures are on-card. Parallels here are limited to Magenta (/99), Red (/75), Orange (/50), Blue (/25), and Inception (1/1). 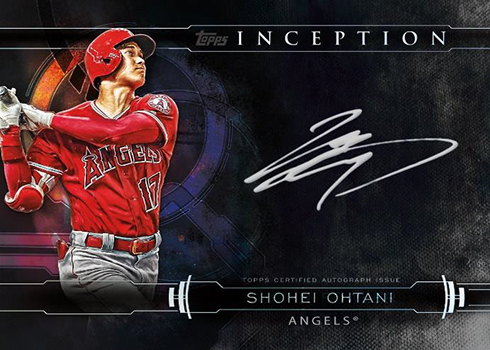 2019 Topps Inception Baseball is loaded with autographed inserts. Silver Signings make a departure from the rest of the product’s light designs, going for a black backdrop. Case hits, come with on-card signatures done in silver ink. Parallels are Gold (/25) and Gold Inscription (1/1). Both of these are done with gold ink. Inception Legendary Debuts Autographs (/20) picture signers as they were in the early part of their respective careers. Hard-signed at all levels, there are also Orange (/10), Blue (/5) and Inception (1/1) versions. Short Print Inception Autographs are all current players. They get their name, in part, for their small print runs of ten. Inception Autograph Patch cards kick off the signature memorabilia portion of the product. These fall approximately 1:4 boxes and come with a larger-than-average patch piece. All are numbered, including Magenta, Red (/25), Orange (/10) Blue Button (/6) and Inception Majestic Logo (1/1) parallels. Inception Autograph Jumbo Patch cards have even larger swatches. They’re also tougher to pull at one per case. The only parallels are Orange (/25), Blue (/10) and Inception(1/1). Inception Autograph Jumbo Hat Patch cards go to head gear for swatches. These have three different versions, all with five copies each: Team Logo, New Era Logo, and MLB Silhouetted Batter Logo. 2019 Topps Inception Baseball has four set of book cards that are on the extremely tough side: Autographed Letter (/2), Autographed Team Logo Patch (/2), Autographed Laundry Tag (1/1), and Autograph MLB Silhouetted Batter Logo Patch (1/1). All have on-card signatures.